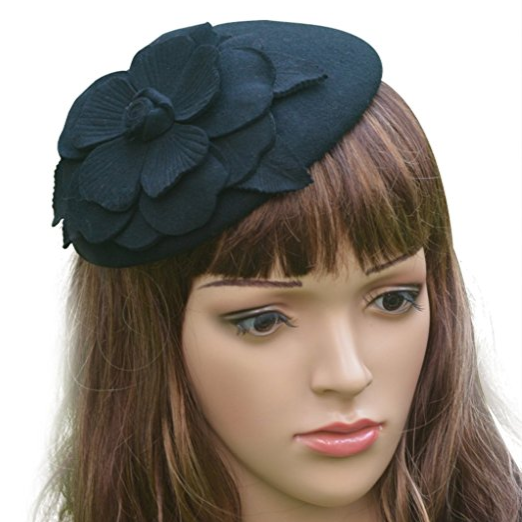 The Duchess of Cambridge debuted this beret style 'Fairy Tale' hat in 2012 when she joined the Queen and the Duke of Edinburgh in Leicester to help launch Her Majesty's Diamond Jubilee Tour. 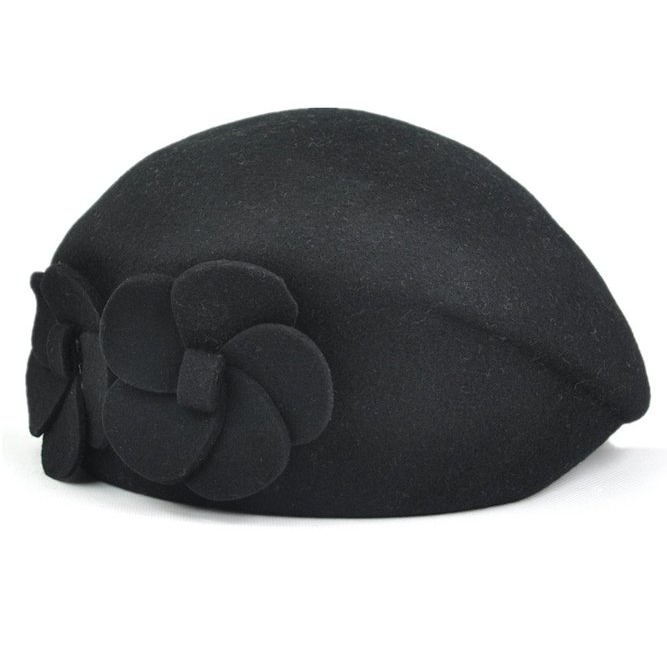 The simple, structured black beret features a large felt flower at the peak. 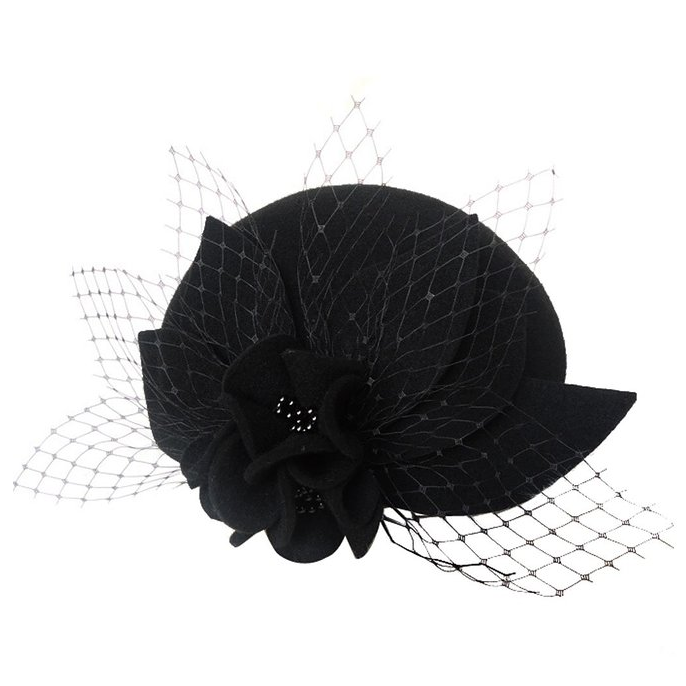 It was handcrafted exclusively by Lock's milliner Sylvia Fletcher. 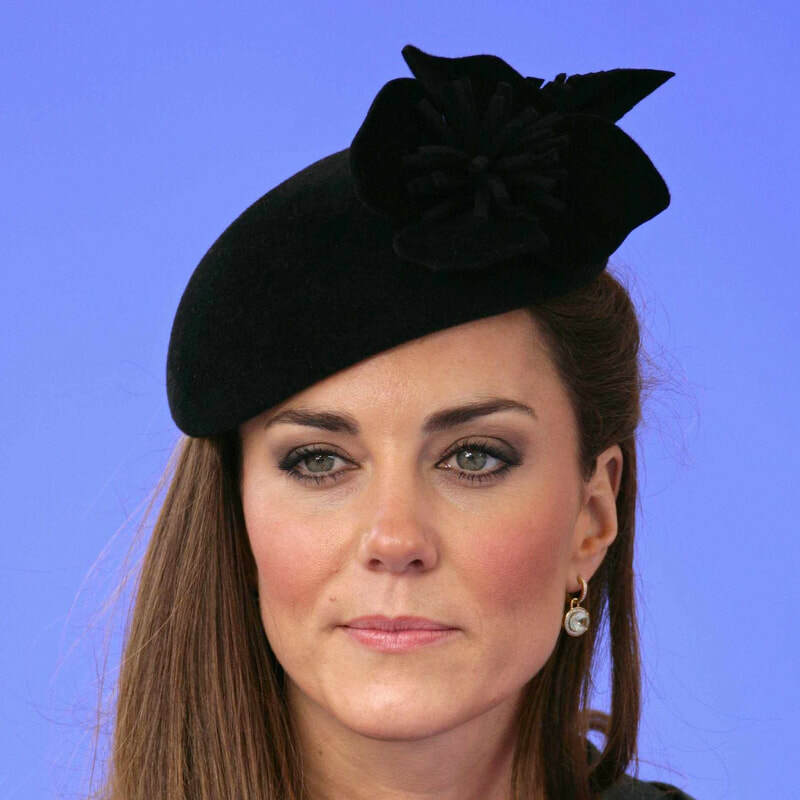 STYLE FILE: Sylvia Fletcher for Lock & Co Fairy Tale Hat as seen on Kate Middleton, the Duchess of Cambridge.